With state-of-the-art technology, bright cheerful colours, and a futuristic design, this game is simple, engaging and quite fun to play. 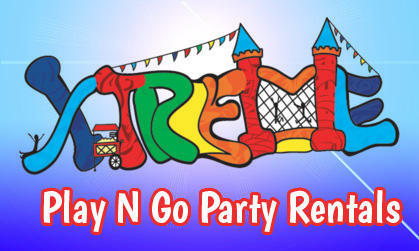 Both children and adults can enjoy this game that easily will become the “bright spot” of your next event! Race against the clock and your fellow opponent, by smacking your designated colour pod when it appears throughout the arena. Sometimes you may only see one pod light up, and other times you may see four pods light up with your designated colour. Your opponent will go through similar patterns simultaneously as well. The person with the most “light strikes” wins the round! 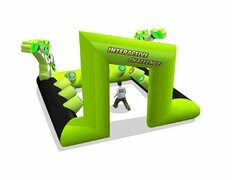 MAIN EVENT also has two other versions of this ever popular interactive game to better suit your event! If you have tighter space constraints, you could try the “Light Strike” Inflatable Table which is much smaller in stature but just as fun! We also have the “Lightning Zone” which is a bit smaller than the “Light Em Up” but plays the exact same way. 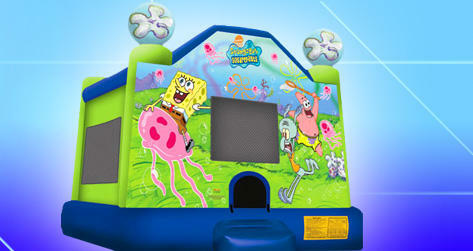 The Light Em Up Interactive Game is 14’L x 14’W x 9.5’H. It requires 2 dedicated electrical circuits.